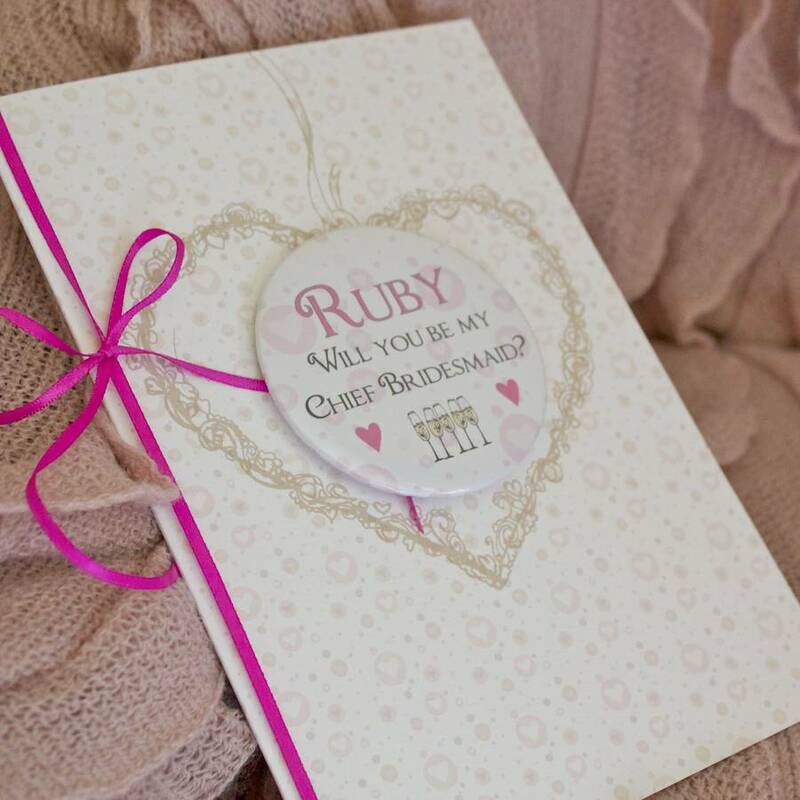 A lovely original greetings card featuring a large personalised magnet. 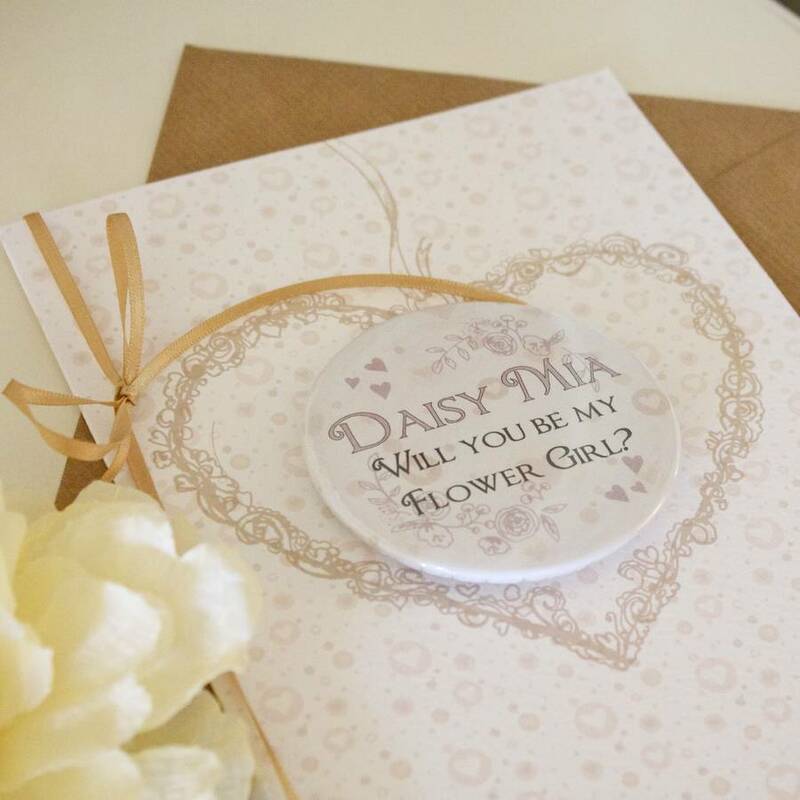 Perfect to ask those friends, sisters, special girls and lovely ladies in your lives to be your Bridesmaids, Flower Girls or Maid of Honour. 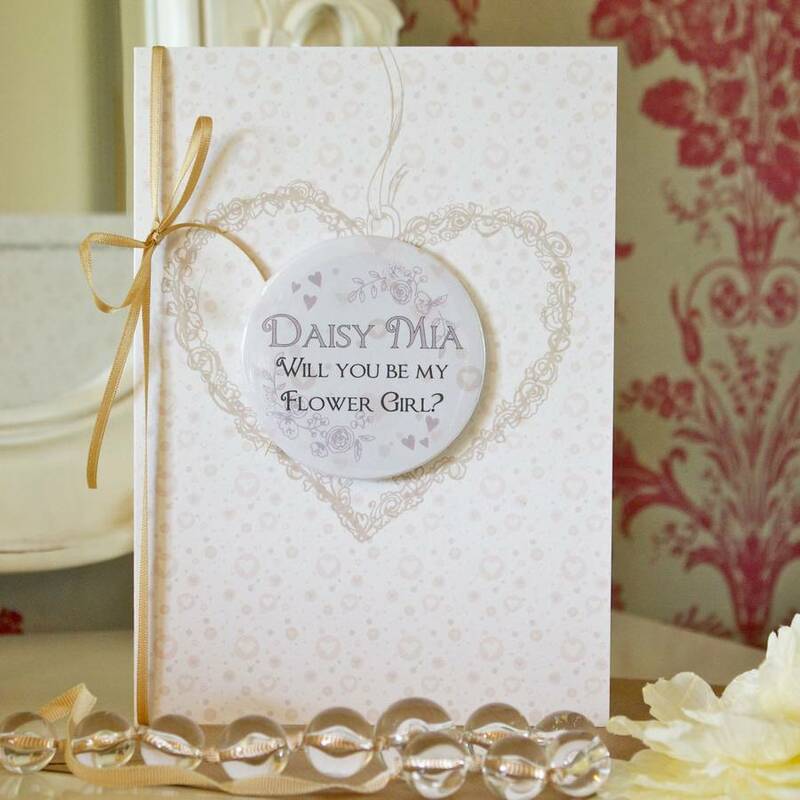 Made to order these special cards make a lovely keepsake. Each is hand finished with a pretty ribbon bow. 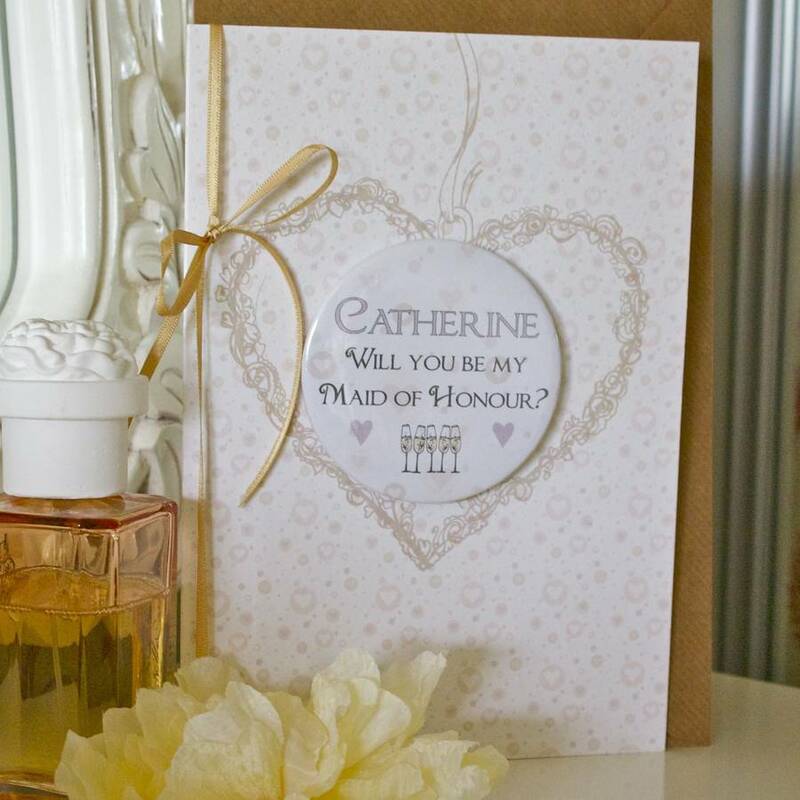 Cards are blank inside for your own message and complete with a brown kraft envelope wrapped in a cello bag. 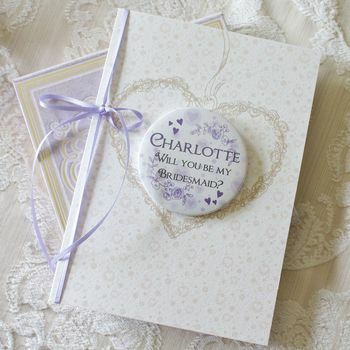 Cards are blank inside for your own message and complete with an ivory, brown kraft or deep red envelope wrapped in a cello bag. 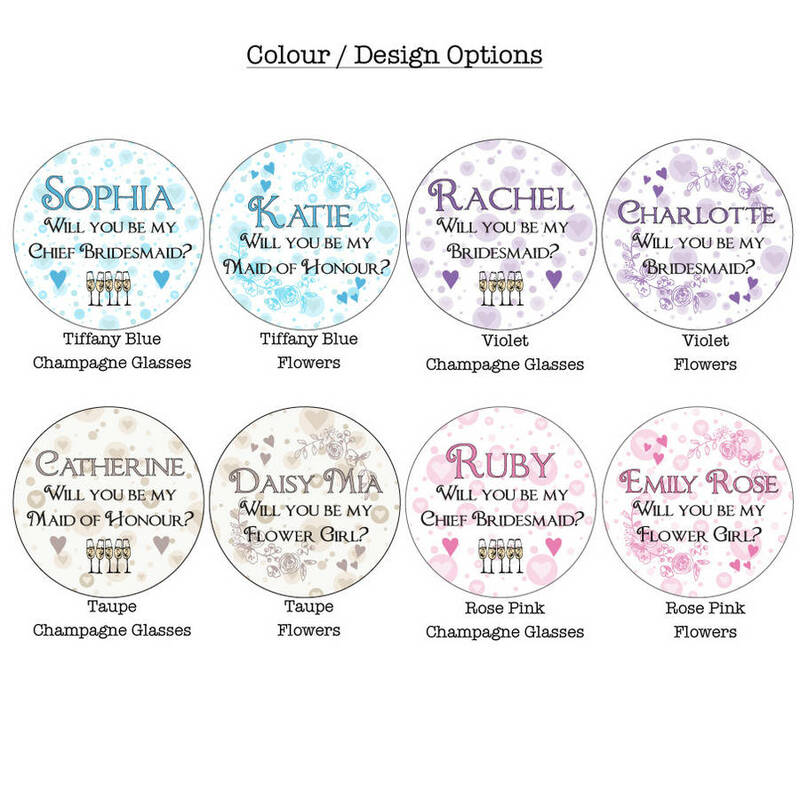 Choose from the champagne glasses or flowers designs in four gorgeous colours.... have all the same or each different the choice is yours! 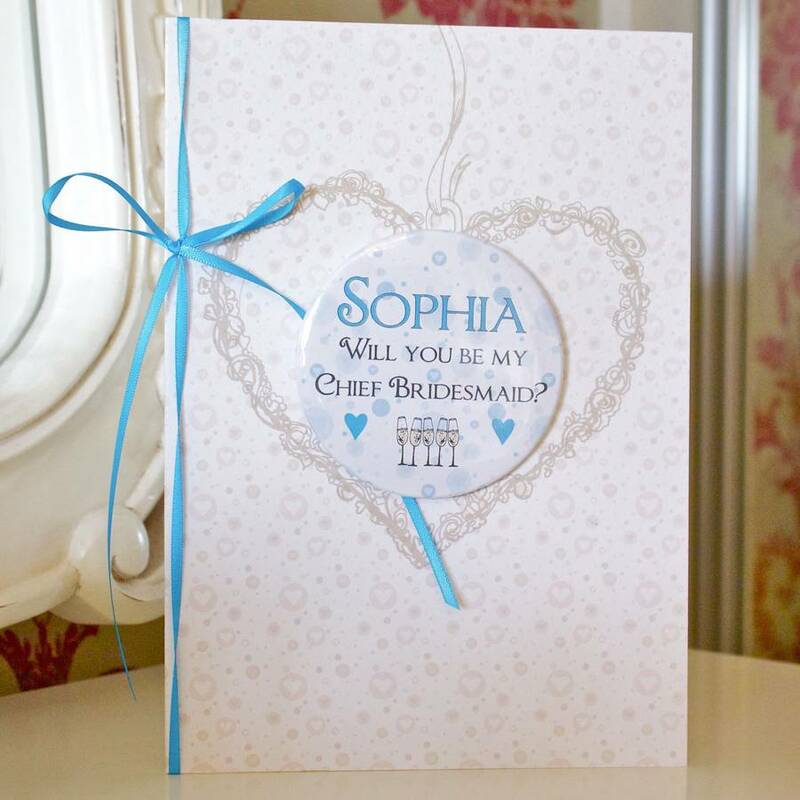 Please select your design and colour choices in boxes opposite and enter your chosen name and role eg Bridesmaid, Flower Girl, Maid of Honour etc. Love the magnets but don't need a card? 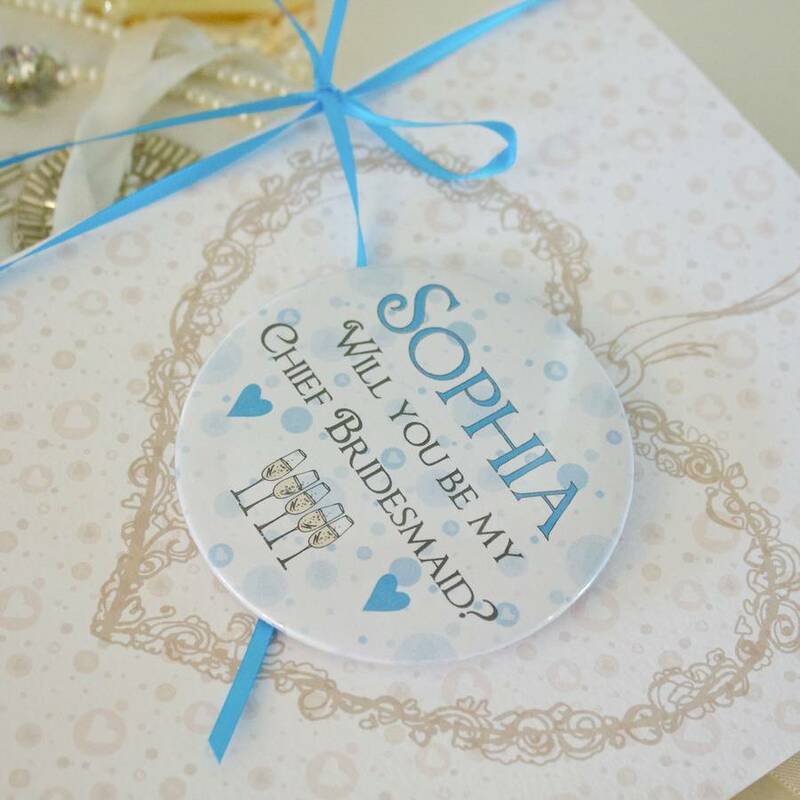 Check out our Personalised Bridesmaid Invite Magnets, the same lovely magnets but with a mini envelope instead of mounted on a ribbon tied card. These are made to order and we aim to send them the same or next working day 1st class. 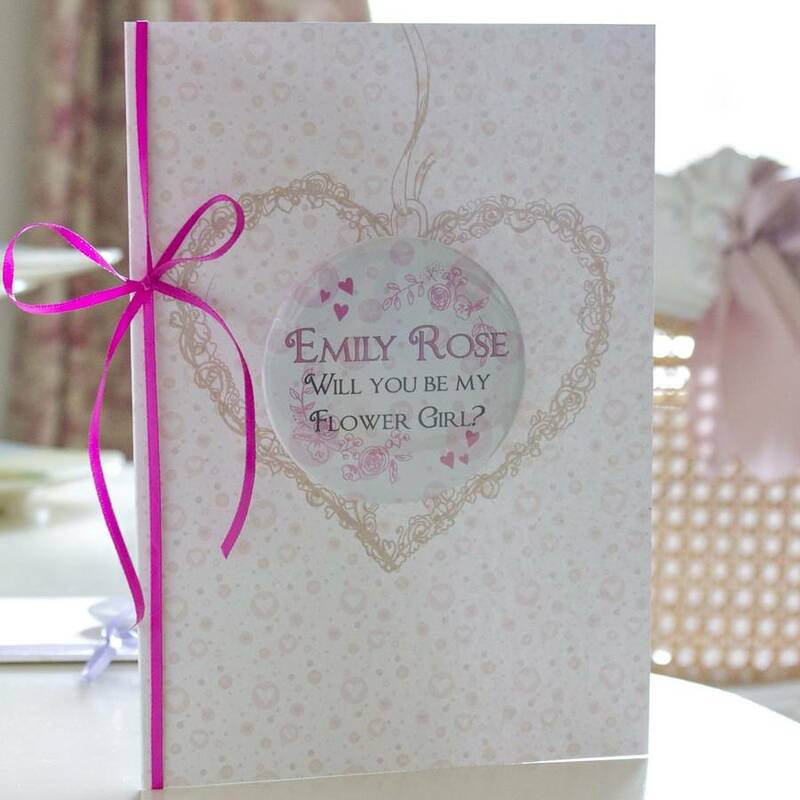 Cards are printed on 300gsm gesso card, which has a soft textured finish. All cards and envelopes are FSC approved. A5 Card 21cm x 14.8cm. Magnets are 7.7cm in diameter.